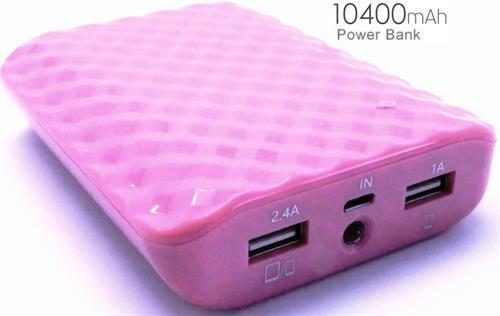 The Geeko , ifatel branded Power Bank 10400 MAh Capacity with Flash Light and stylish diamond pattern design charges two devices such as your smartphone and tablet simultaneously and quickly via two USB outlets it also has a handy LED flash built-in. 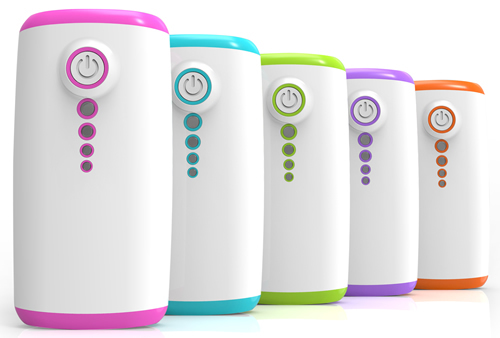 The Ifatel power bank includes ODP (Over-Discharge Protection), OCP (Over-Current Protection), SCP (Short Circuit Protection), OVP (Over-Voltage Protection) and OCP (Overcharge Protection) to protect the battery and the device you’re charging. 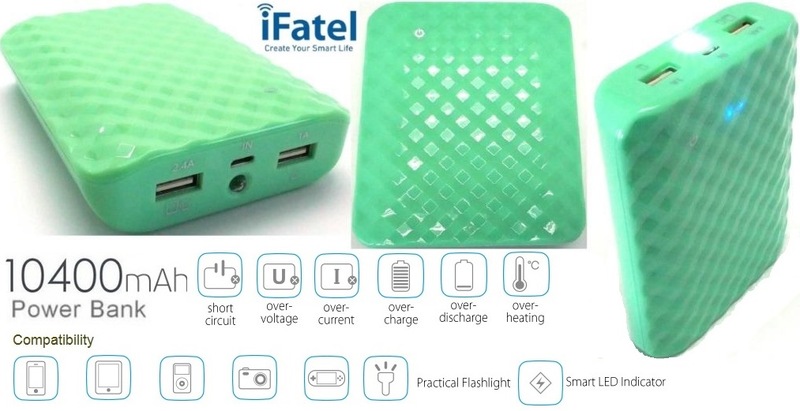 As an extra safety feature, the Ifatel power bank automatically turns off if your device is idle, disconnected or fully charged. 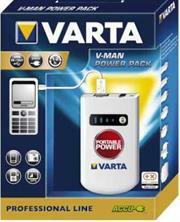 •LED power level indicator shows how much power remains. 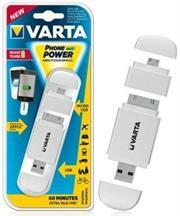 A streamlined easy-grip design allows you to easily carry it while charging. 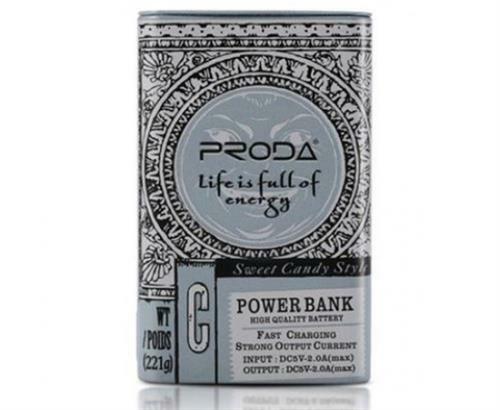 No need to worry about running out of power when you're on the go! 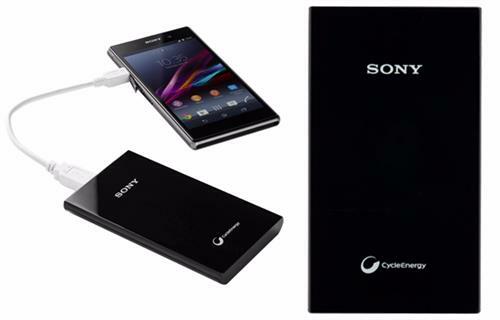 It comes with a whopping 10400mAh charge capacity – enough for up to 5 full charges for an iPhone 5, and 1.5 charges for an iPad Mini. Whenever you connect your device it automatically begins charging without needing to press a button. 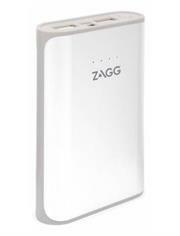 When charging finishes power bank will automatically shuts off. 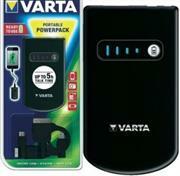 With synchronous charging and discharging it provides an even quicker charge. 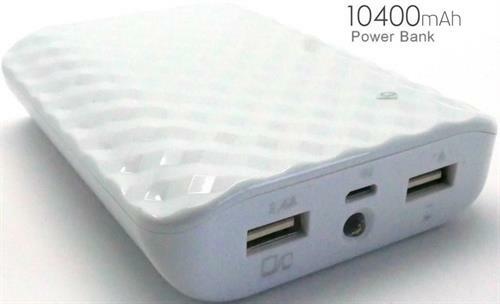 The Power bank also works as an LED flashlight . Just press and hold a button for 2 seconds to turn on the built-in flashlight. Press the button quickly to switch off. 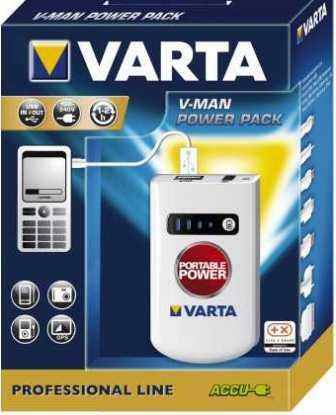 • LED power level indicator shows how much power remains. 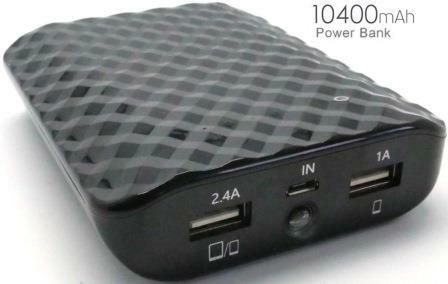 • Charging Time Up to 10 hrs. The Promate PocketMate LT is a clever little gadget. 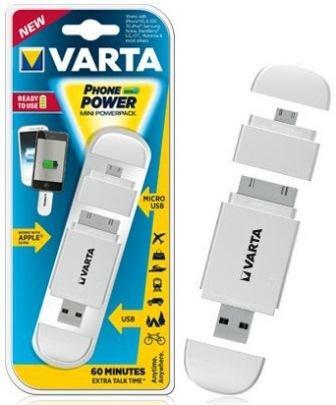 Simple, elegantly designed and offering unbeatable performance, this gadget is the perfect solution to all your charging needs. The pocketMate LT is small, compact and easily portable – easily slipping unobtrusively into a pocket or a bag – and comes with three hidden interfaces: an Apple charger, a micro-USB charger and a USB dock to power the device itself. Gone are the days when you need to carry clumsy bulky chargers around with you for extra power, the pocketMate LT allows you to charge your devices on-the-go and with the minimum of fuss. 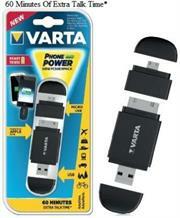 • Samsung Galaxy Mobiles, Blackberry, Geeko Tablet Series All Micro-USB devises. The Promate Ovally is a clever little gadget. 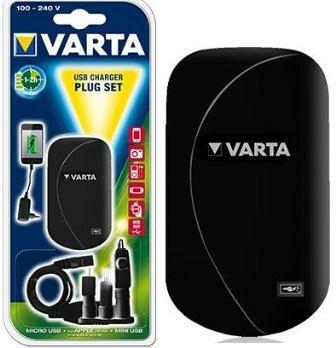 Simple, specifically designed to offer unbeatable performance, it is the perfect solution to all your charging needs. The Ovally is small, compact and easily portable - fits perfectly into a pocket or a bag. 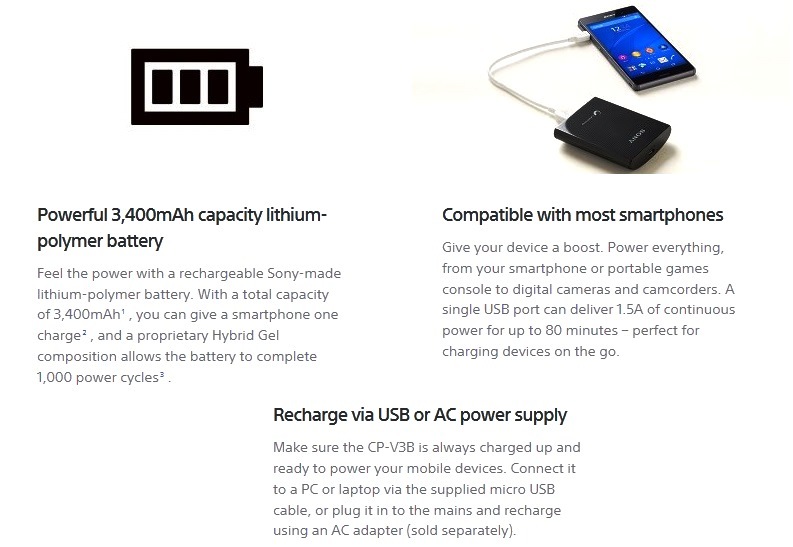 It comes with three hidden interfaces: a Lightning connector, a Micro-USB connector and a USB dock to power the device itself. Tap and slide on Ovally to switch it on and off and charge your smartphone. You no longer need to carry clumsy bulky chargers around with you for extra power, the Ovally allows you to power-up your devices on-the-go with the minimum of fuss. The pocketMate LT is a clever little gadget. Simple, elegantly designed and o¬ffering unbeatable performance, this gadget is the perfect solution to all your charging needs. The pocketMate LT is small,compact and easily portable – easily slipping unobtrusively into a pocket or a bag – and comes with three hidden interfaces: an Apple charger, a micro-USB charger and a USB dock to power the device itself. Gone are the days when you need to carry clumsy bulky chargers around with you for extra power, the pocketMate LT allows you to charge your devices on-the-go and with the minimum of fuss. 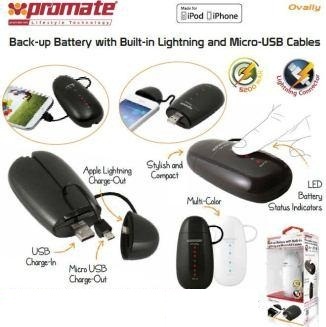 Never worry about losing power for your mobile device while you’re on the move when using the Promate Robust Pocket Size 5200mAh Solid Power Bank with Dual USB Ports. 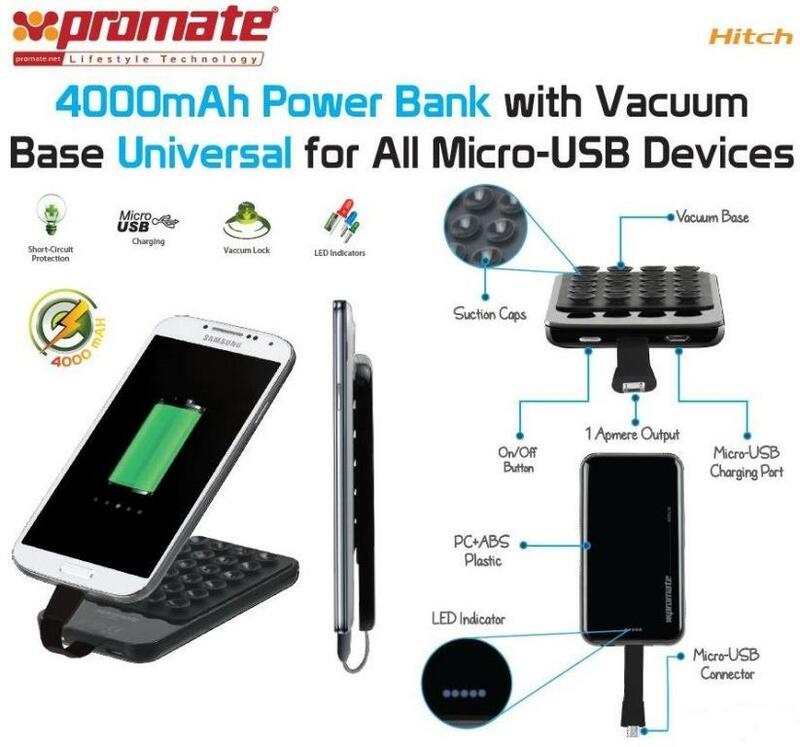 The Promate Robust is a powerful 5200mAh rechargeable power bank designed to provide you with power wherever or whenever you need it for any USB powered device. 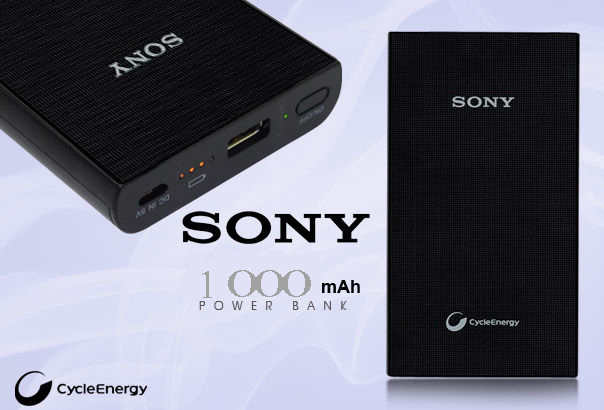 The dual-port charging outputs lets you charge two devices simultaneously and the auto-power function ensures that your power bank shuts off automatically when not in use. 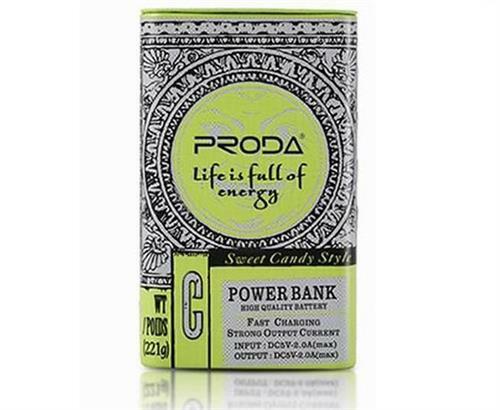 Power on the go with Robust. 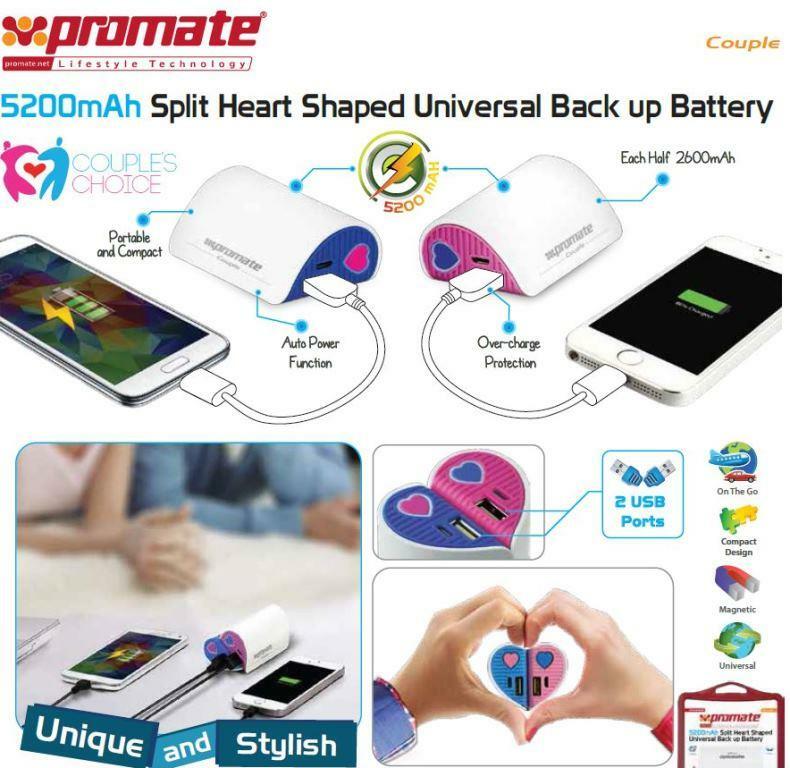 The Promate Couple 5200mAh Split Heart Shaped Universal Back up Battery –Special Edition .!!! Love is in the air! 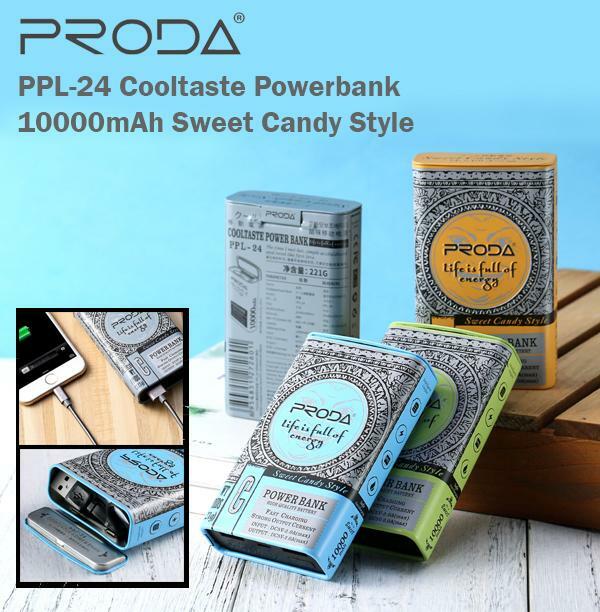 So fall in love with the Promate Couple, a heart shaped 5200mAh rechargeable power bank designed to provide you with power whenever you need it for any Smartphone device. 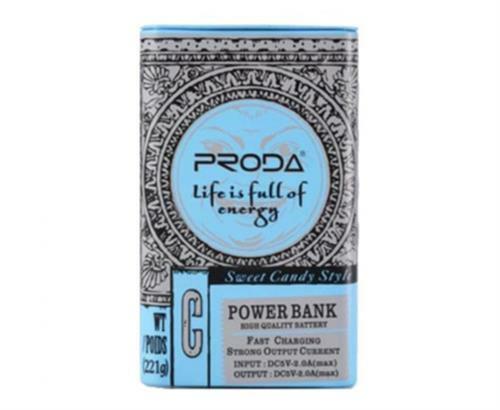 Each of the 2 halves carry a battery capacity of 2600mAh, when placed together form a beautiful heart and when separate act as a symbol and reminder of your loved one. Share your power of love with the Promate Couple. Never worry about your devices losing power while you’re on the move. The Promate AidBar-5 is a portable 5200mAh rechargeable power bank designed to provide you with power whenever you need it for any Smartphone device. 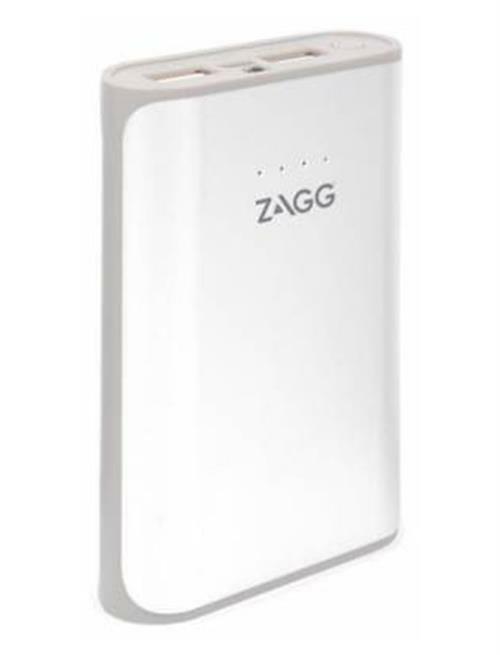 The auto-power function ensures that your power bank turns on or shuts off automatically when connected or disconnected from a device. Unique, compact and multifunctional. 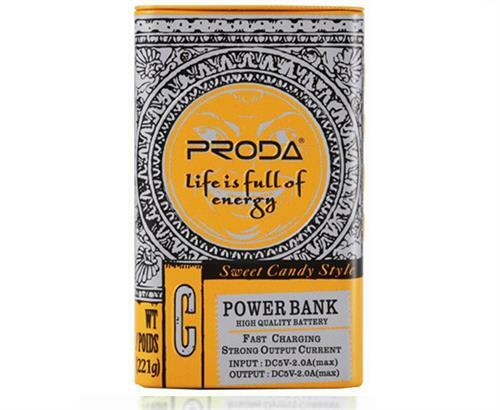 Power you can trust on the go with AidBar-5. 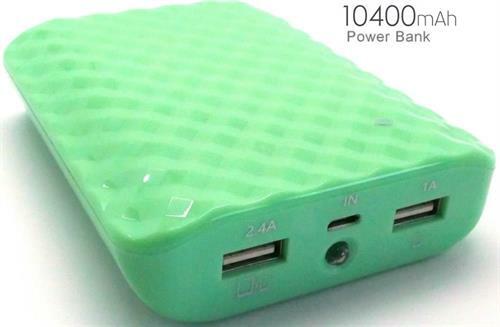 The Geeko Cute Y202 is a portable 7800mAh rechargeable power bank designed to provide you with power whenever you need it for any Smartphone device. 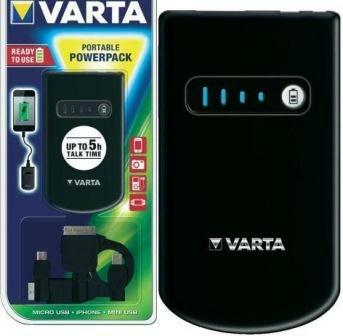 This universal power bank packs up to 7800 mAh and a 5V output which can fully recharge your smartphone (depending on your smartphone) up to three times on a full battery. 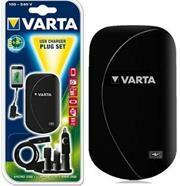 It also has a built-in LED Light which comes in handy in dark places. The compact and lightweight design won't take up too much space in your bag or on your desk. 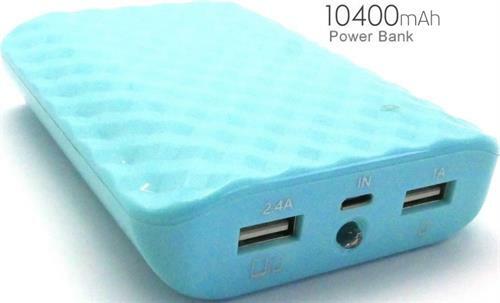 This power bank is compatible with any USB 2.0 cable. 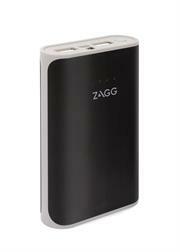 Never worry about your devices losing power while you’re on the move. 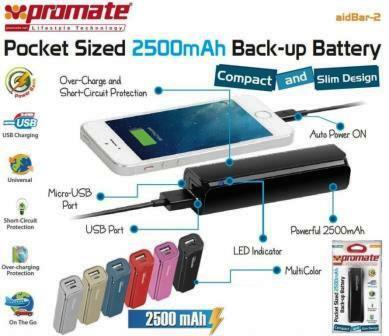 The Promate AidBar-2 is a portable 2500mAh rechargeable power bank designed to provide you with power whenever you need it for any Smartphone device. 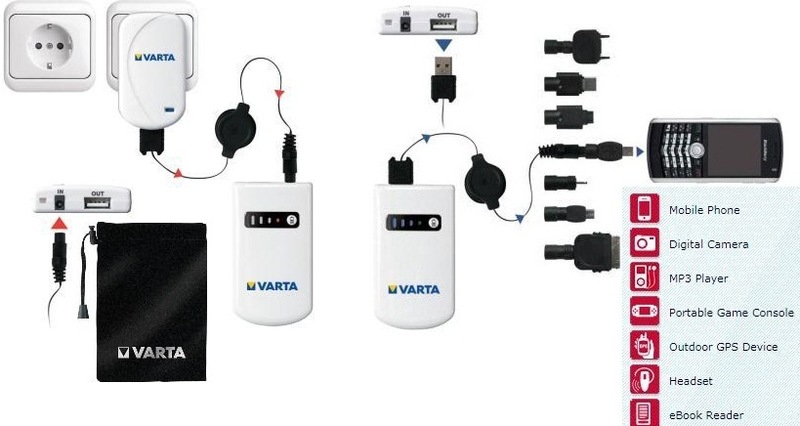 The auto-power function ensures that your power bank turns on or shuts off automatically when connected or disconnected from a device. 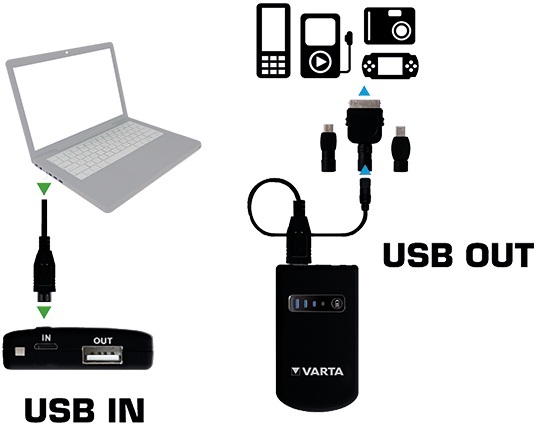 Power you can trust on the go with AidBar-2.